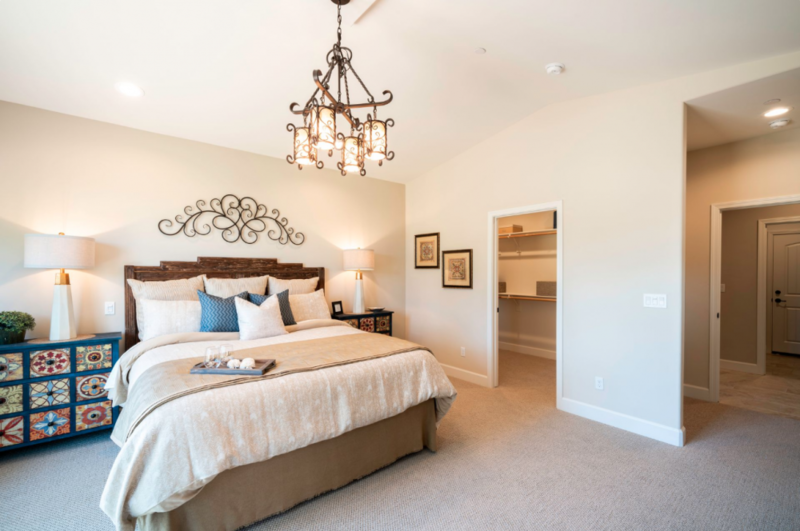 Love life at Bradley Village! 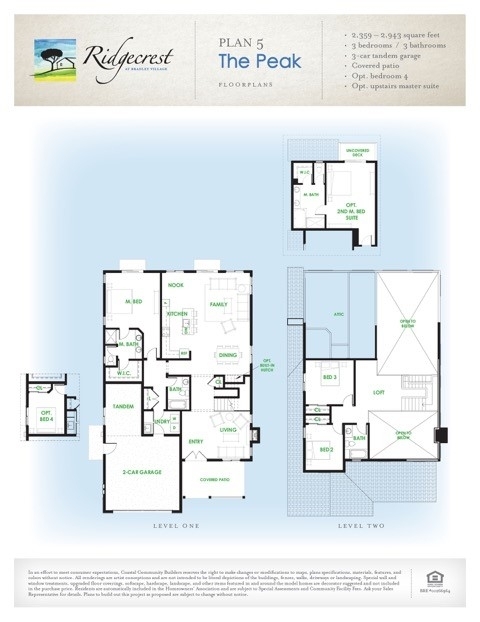 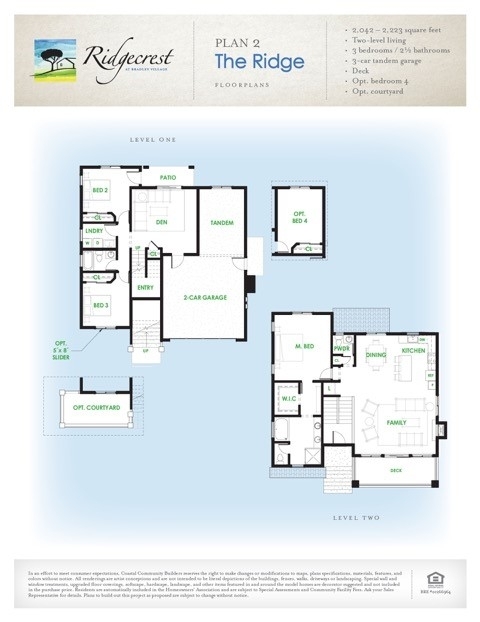 Now selling the final two model homes! 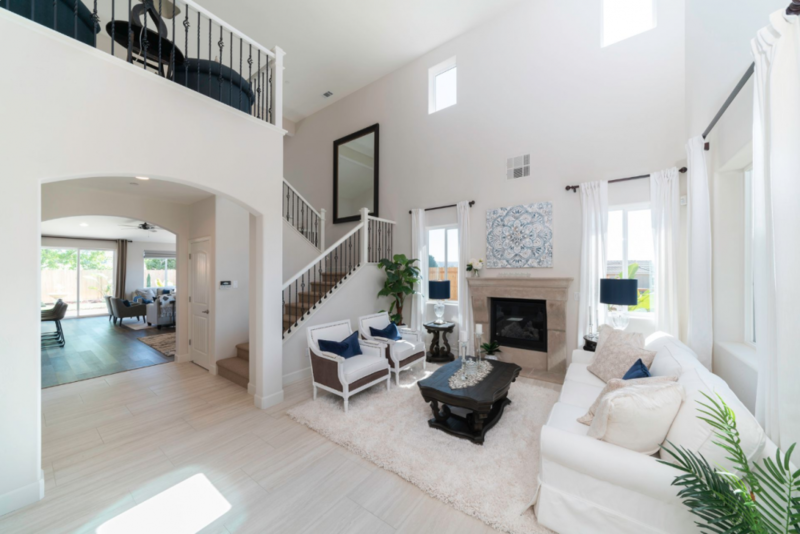 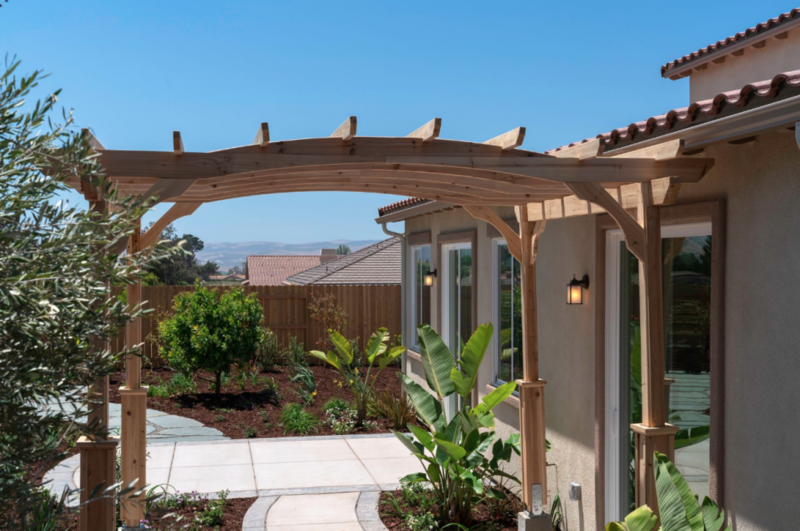 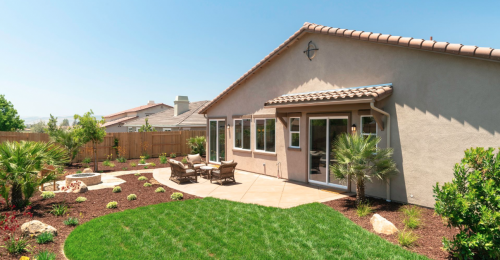 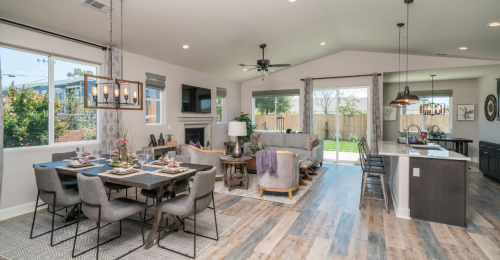 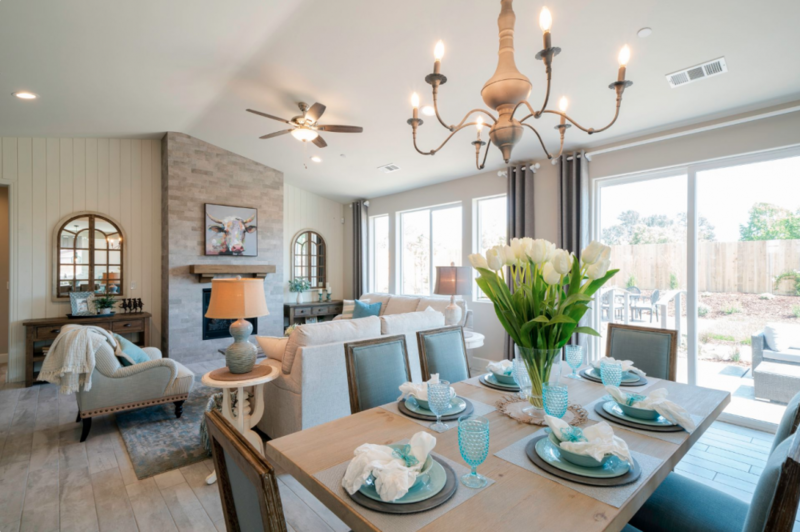 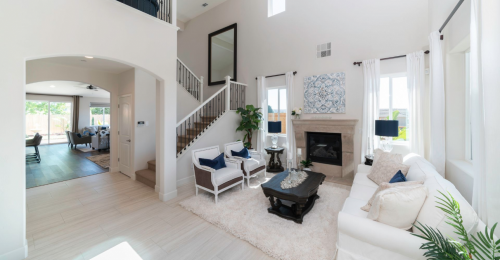 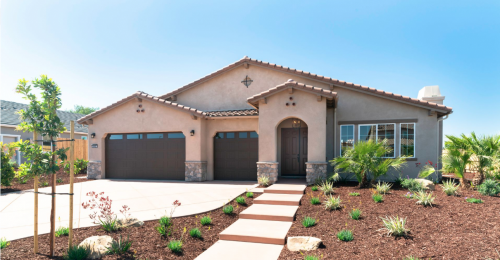 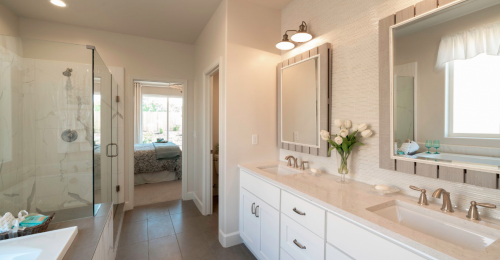 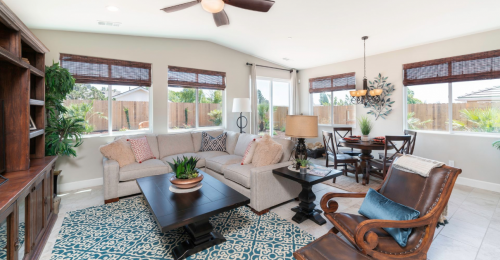 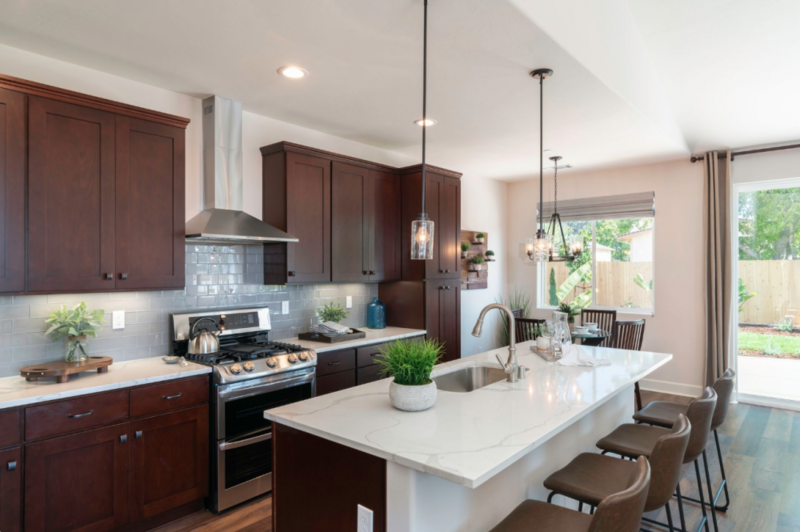 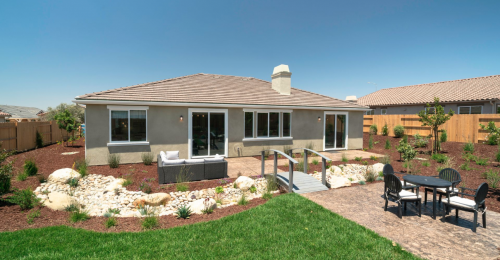 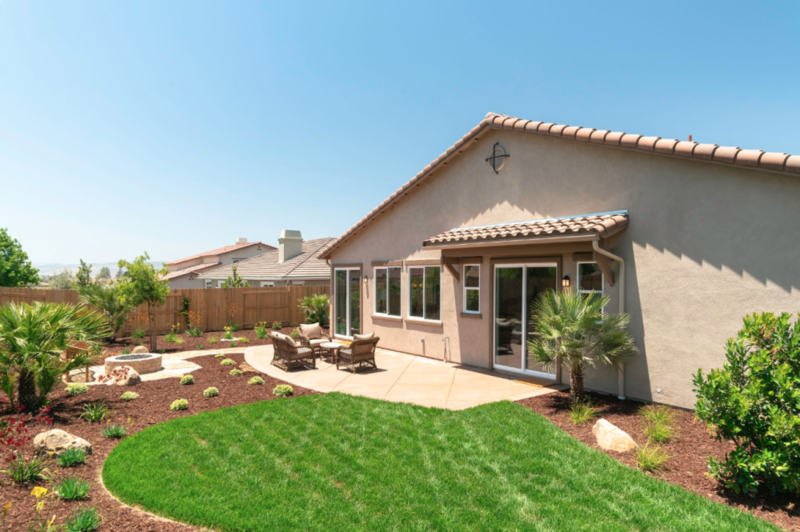 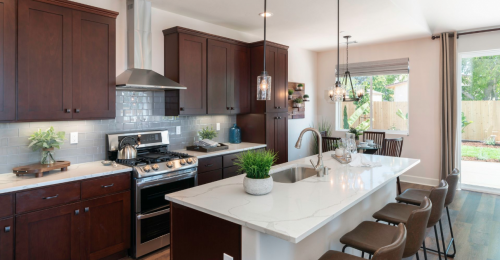 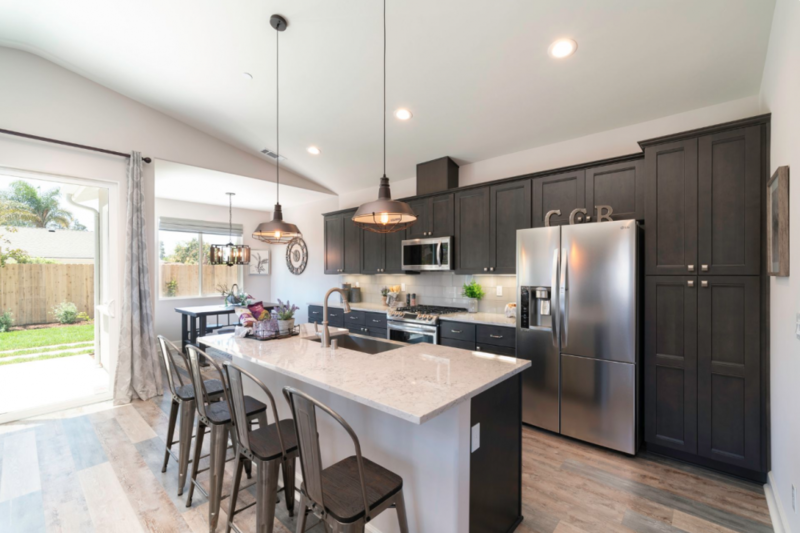 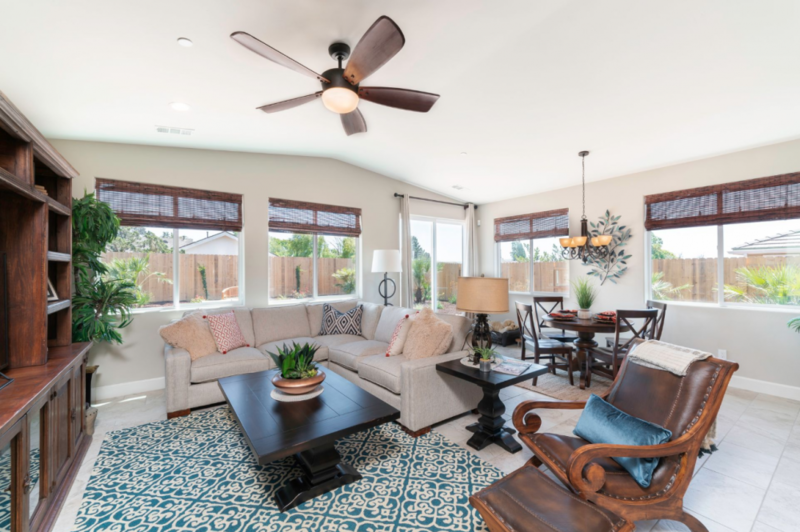 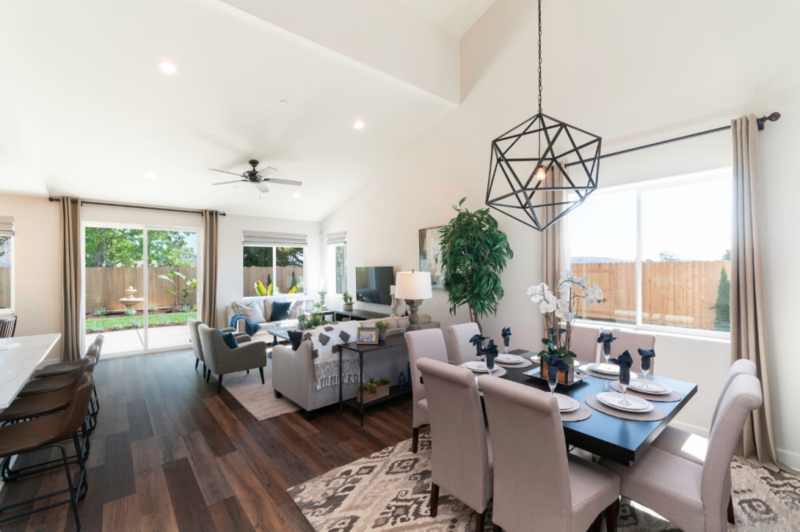 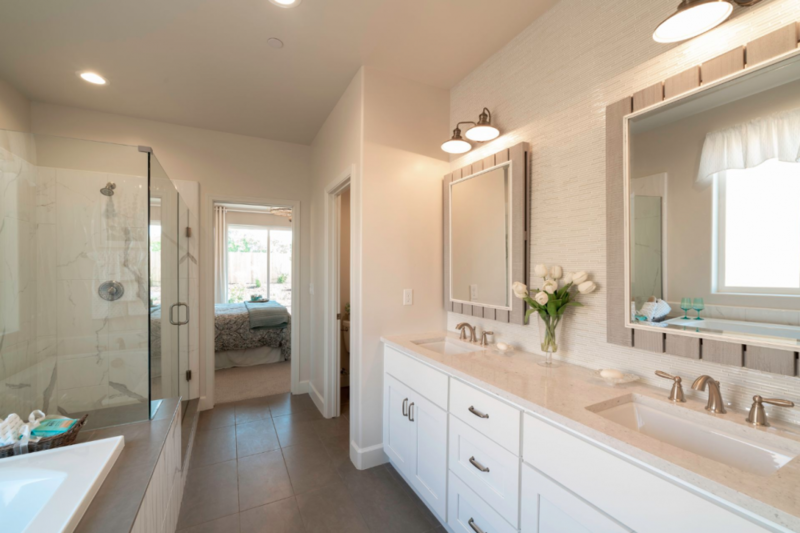 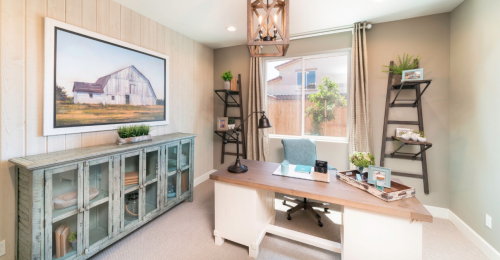 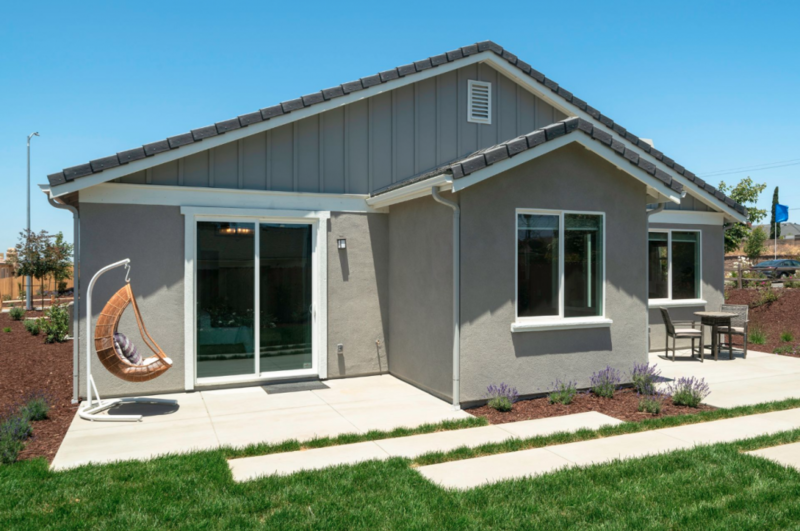 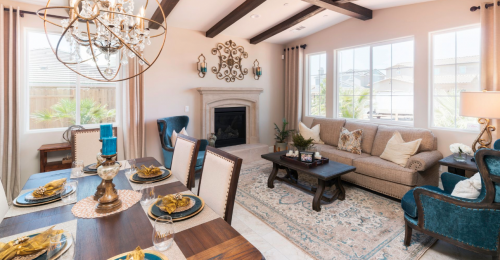 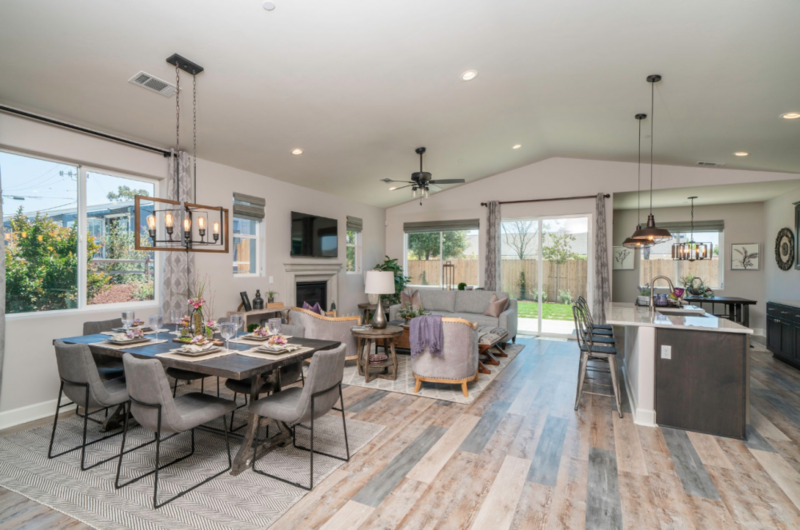 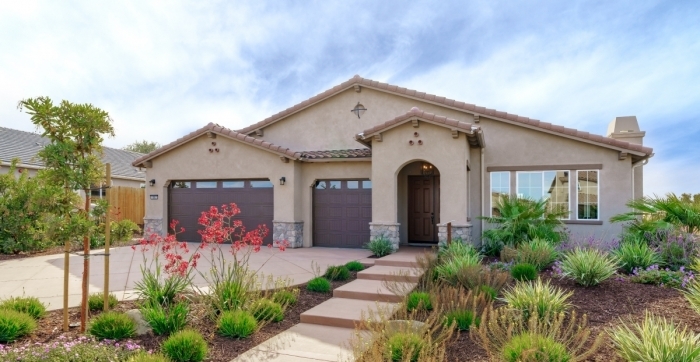 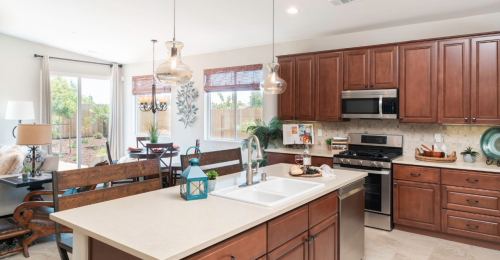 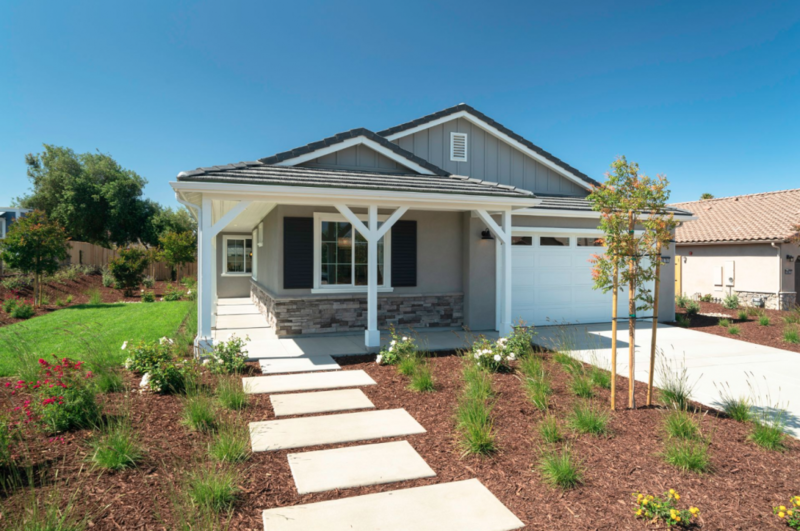 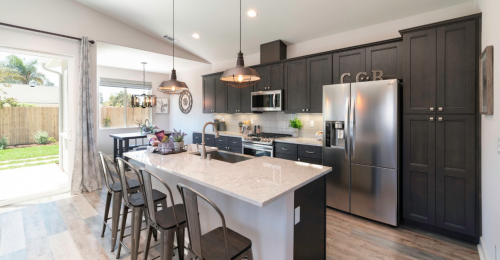 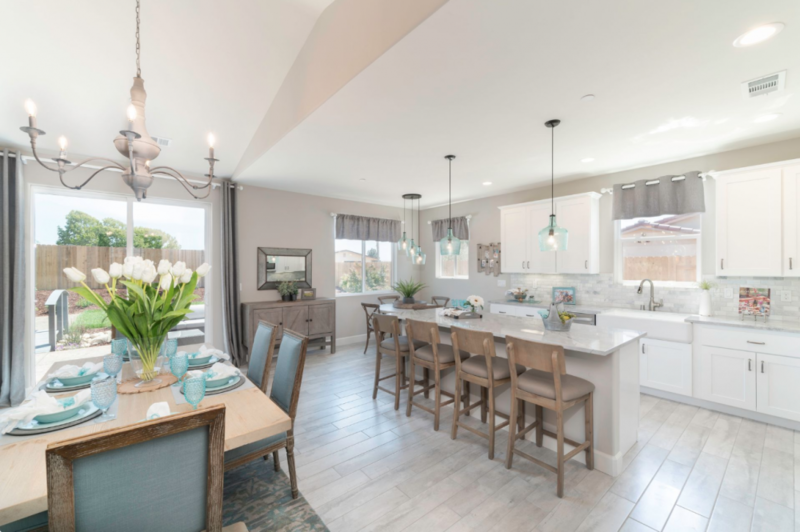 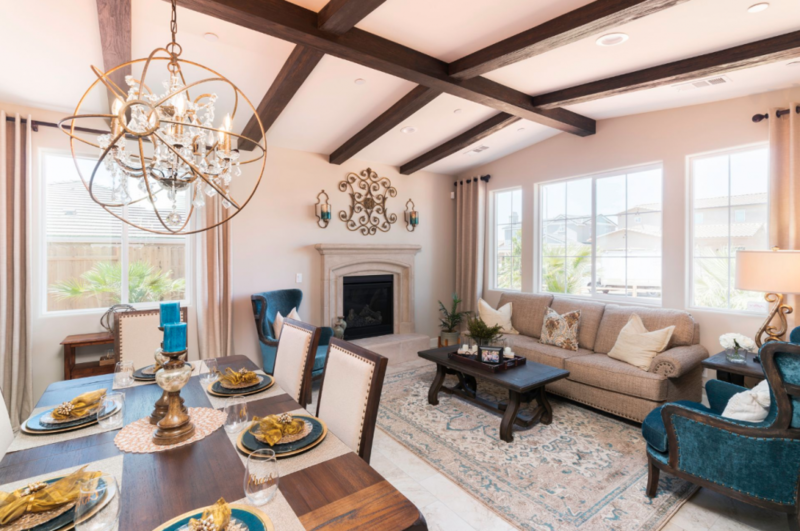 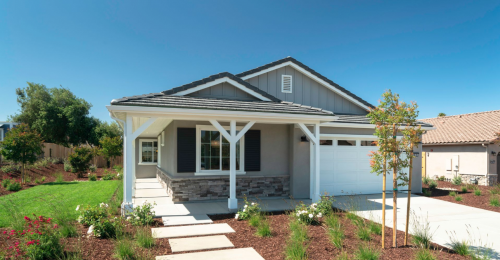 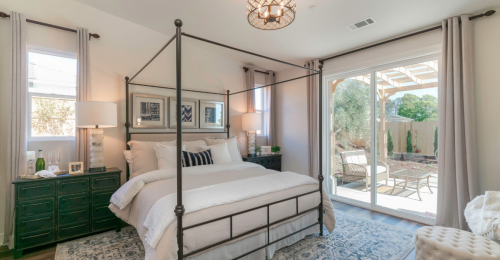 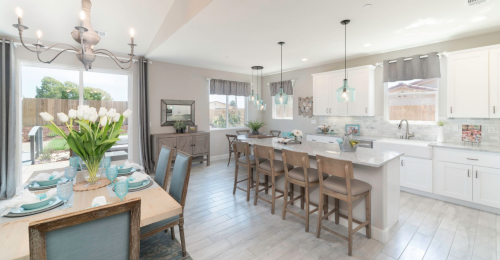 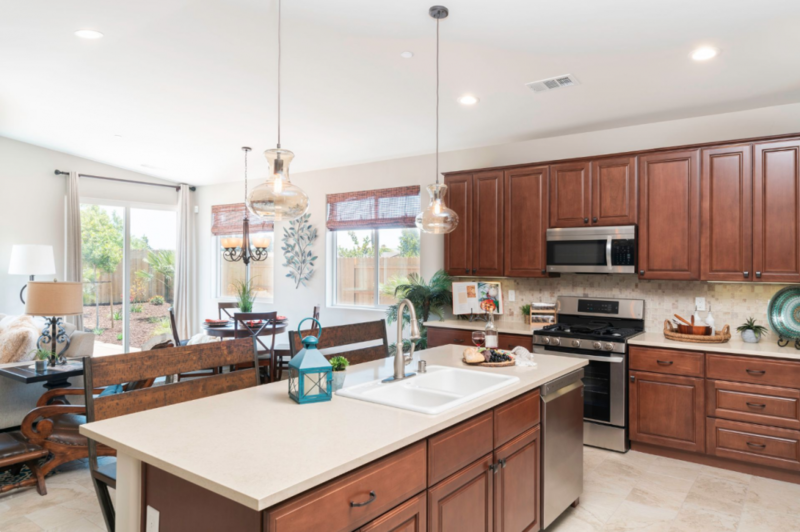 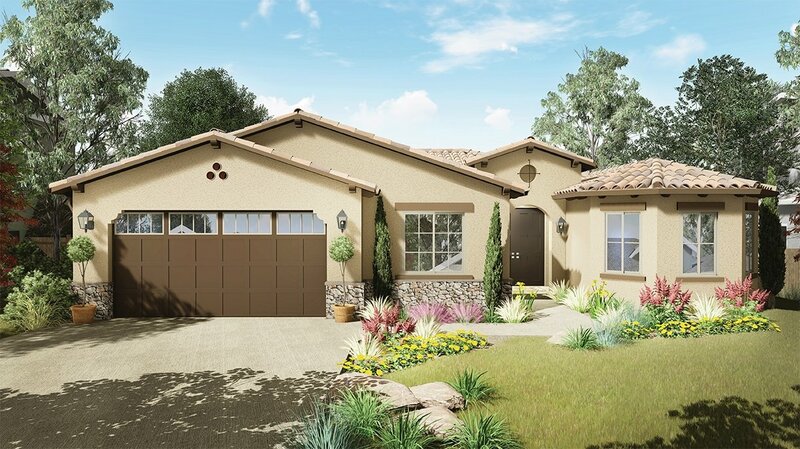 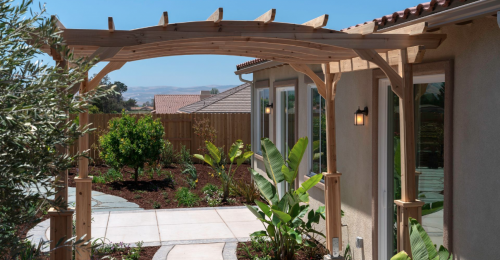 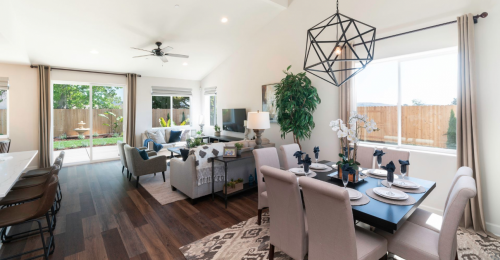 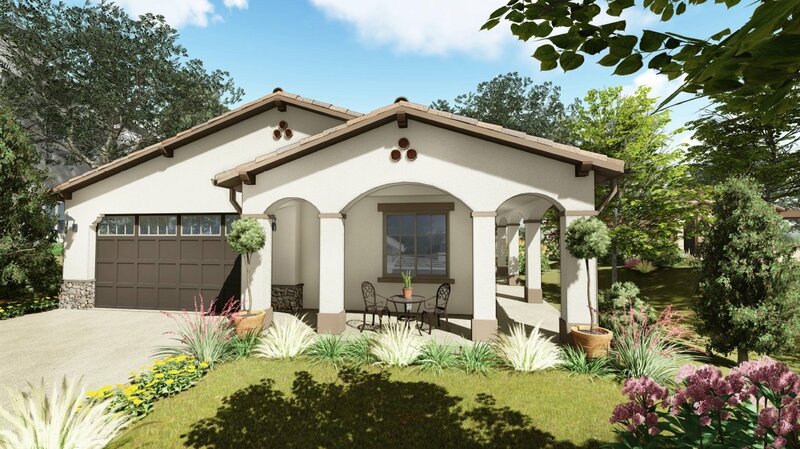 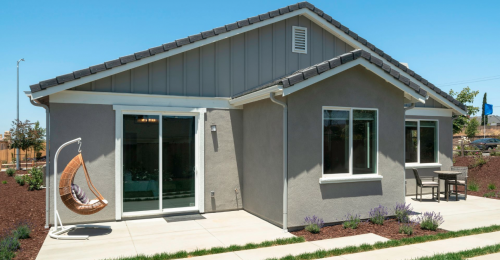 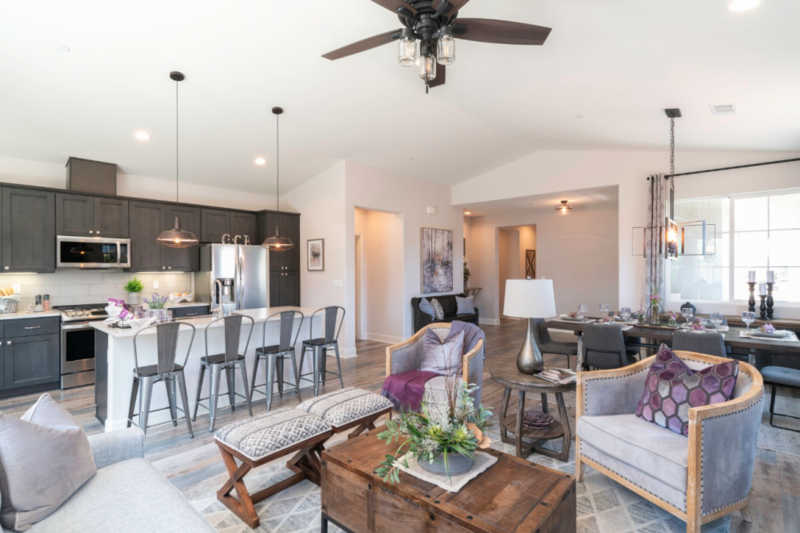 Nestled in the Santa Maria Valley on California’s exquisite Central Coast, these homes feature floorplans suited for every lifestyle and every stage of life. 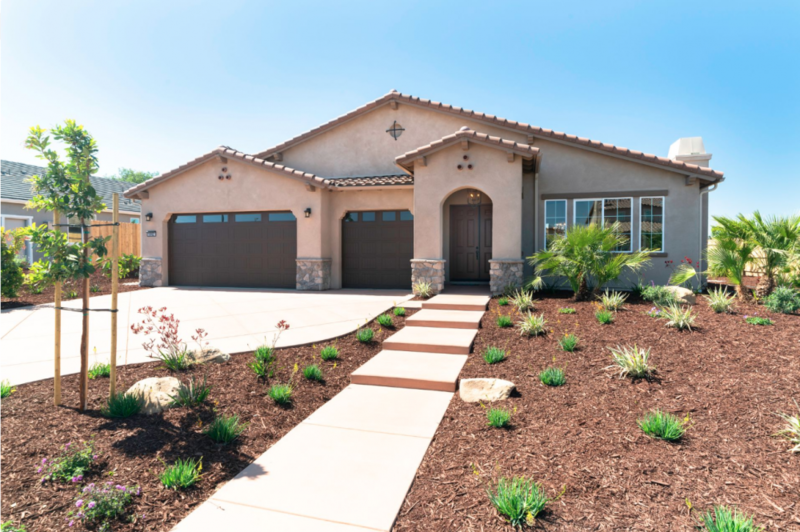 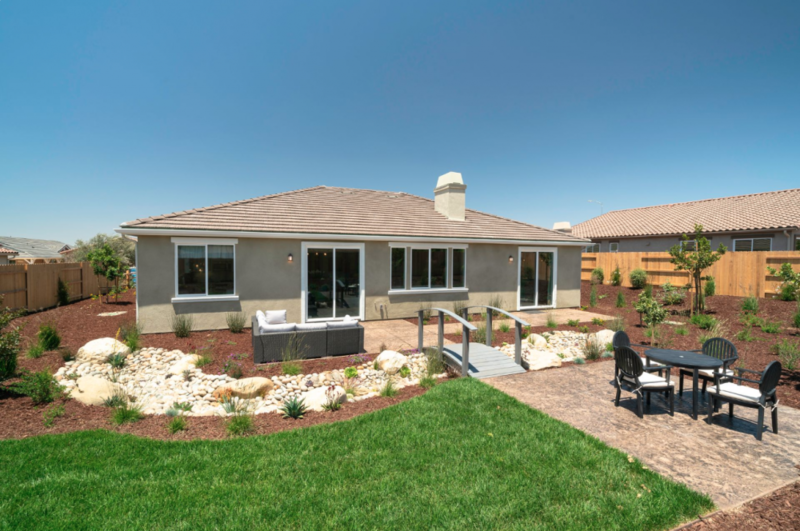 Ridgecrest is located in the charming town of Orcutt – home to a quaint General Store, miles of hiking trails, farmer’s market and special events throughout the year. 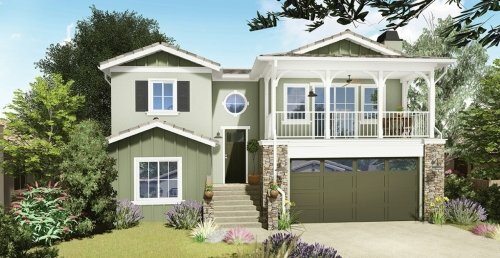 It’s no wonder Orcutt is known as a place “where family life is a way of life.” The community of 38 homes offers easy access to schools, shopping, and “the 101.” Halfway between Santa Barbara and San Luis Obispo – a drive in either direction features a corridor of beautiful beaches, great hiking and biking opportunities, tasting rooms and microbreweries, fine dining, and multi-faceted cultural events. 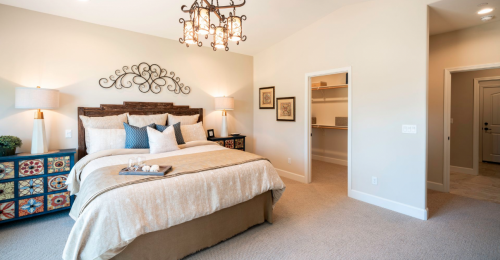 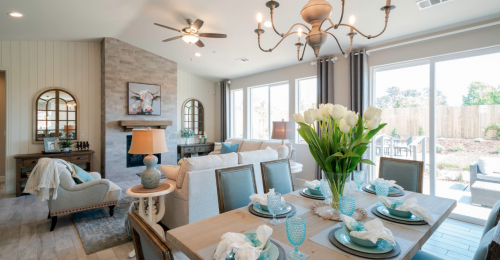 Truly Ridgecrest at Bradley Village is more than a home - it’s a lifestyle! 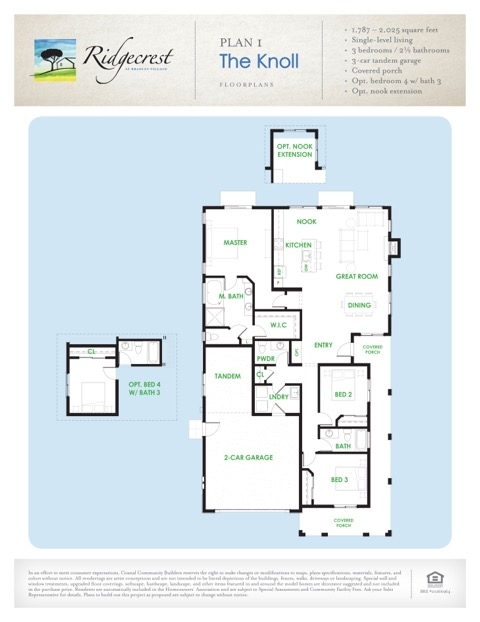 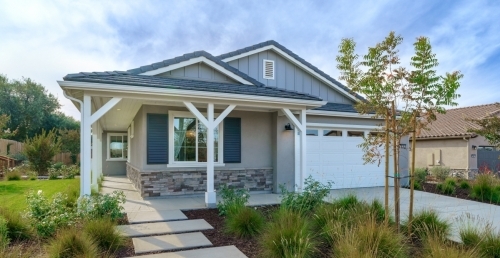 This beautiful neighborhood features five floorplans including single-story living as well as two-story homes. 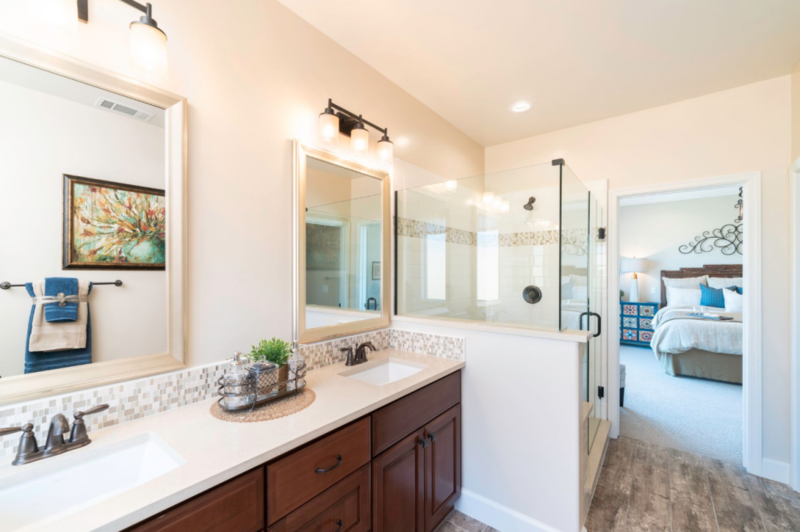 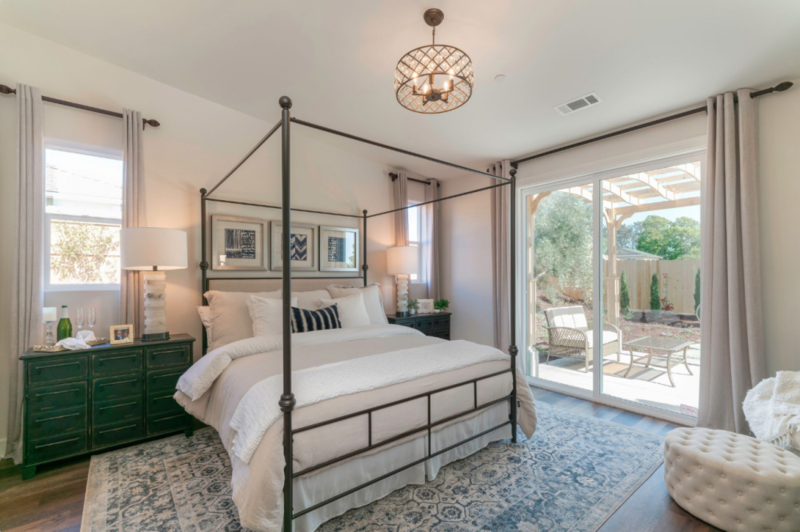 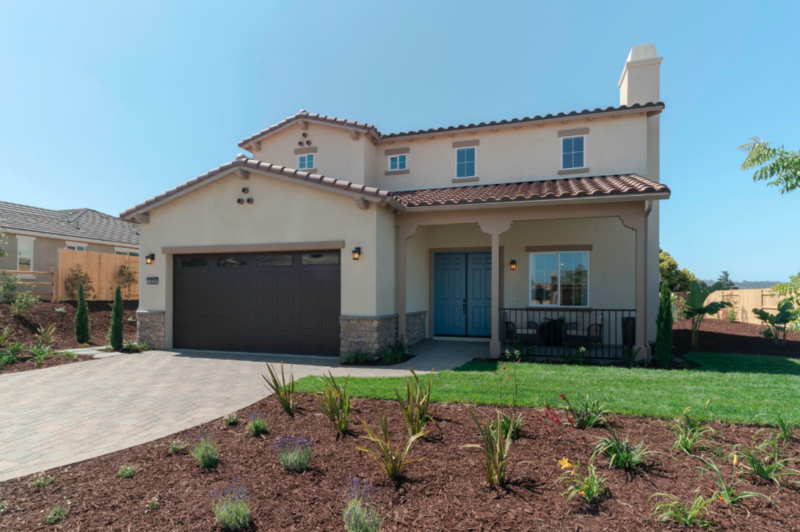 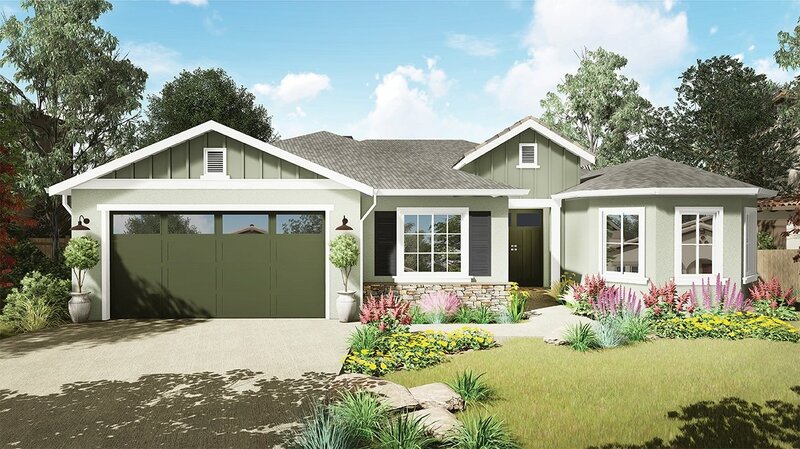 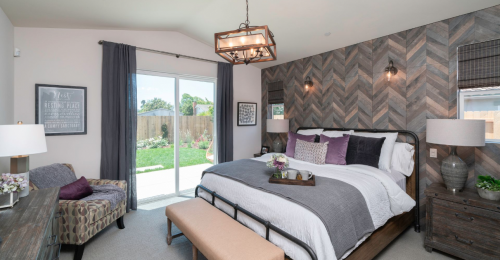 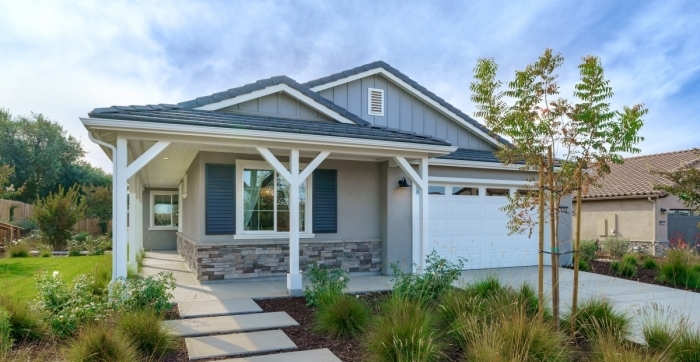 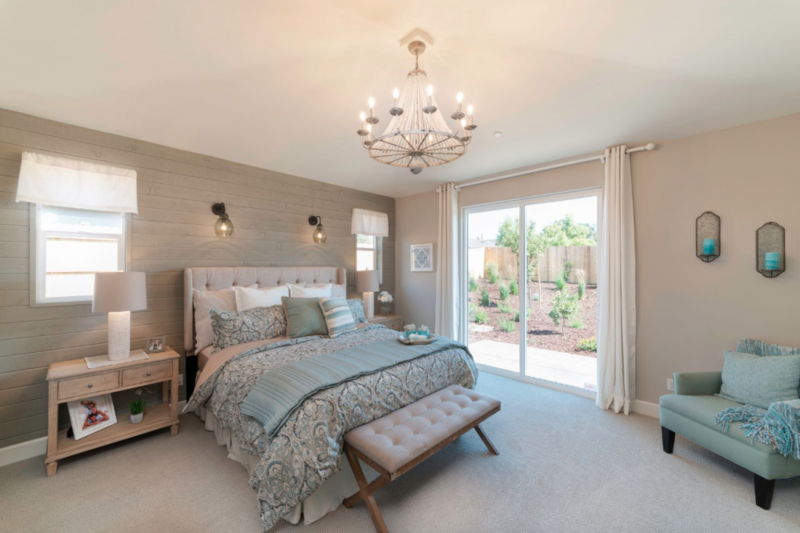 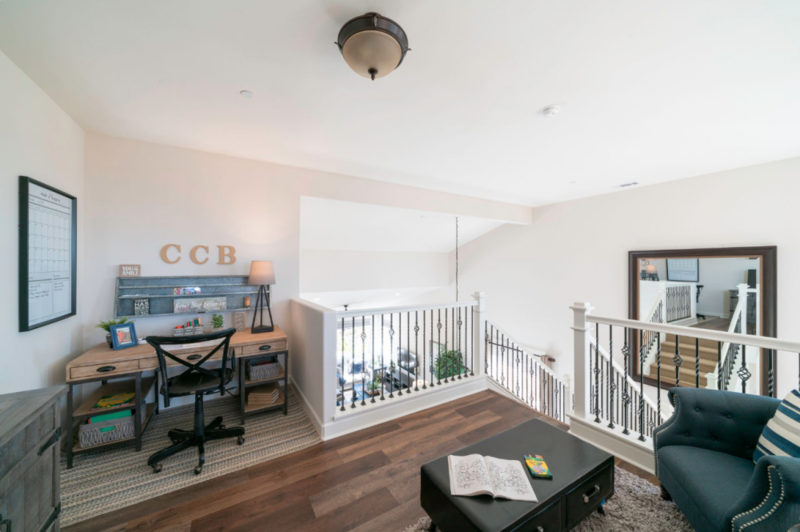 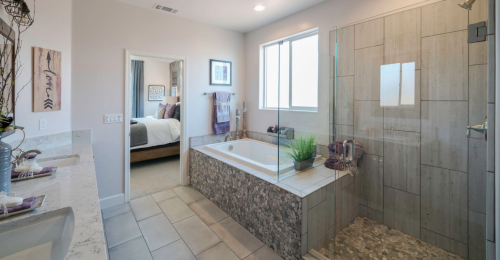 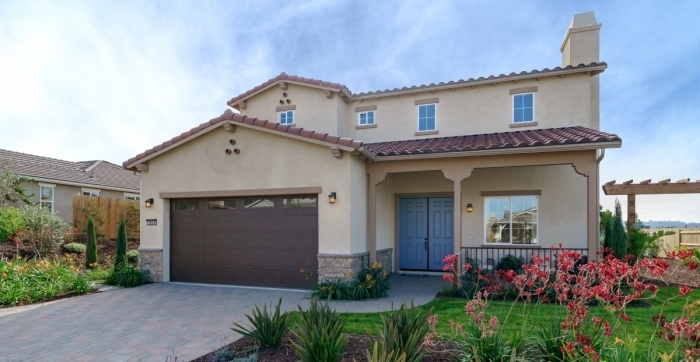 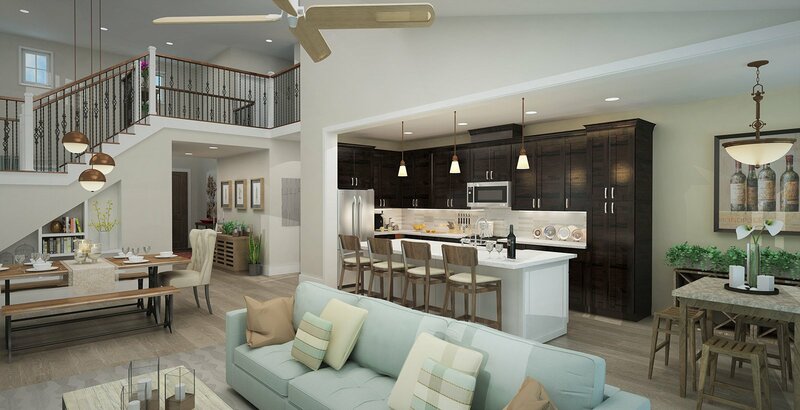 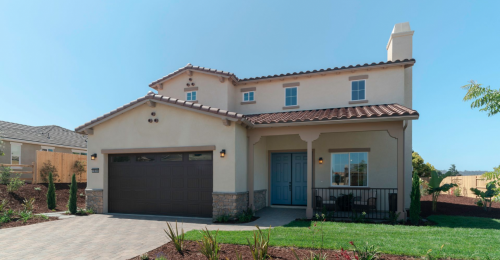 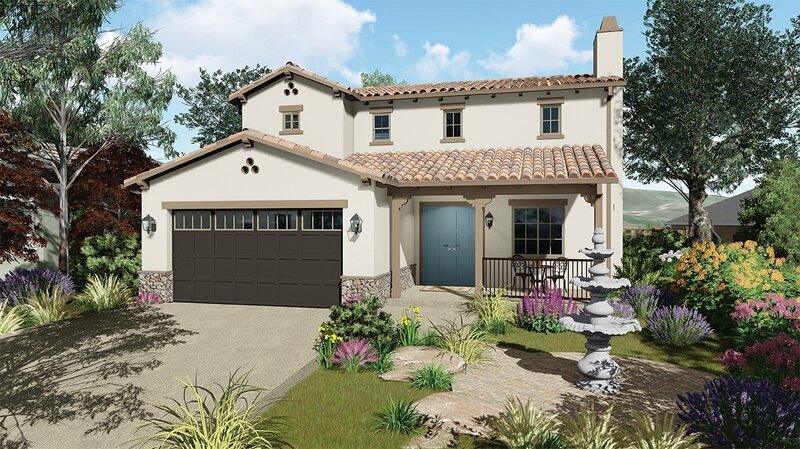 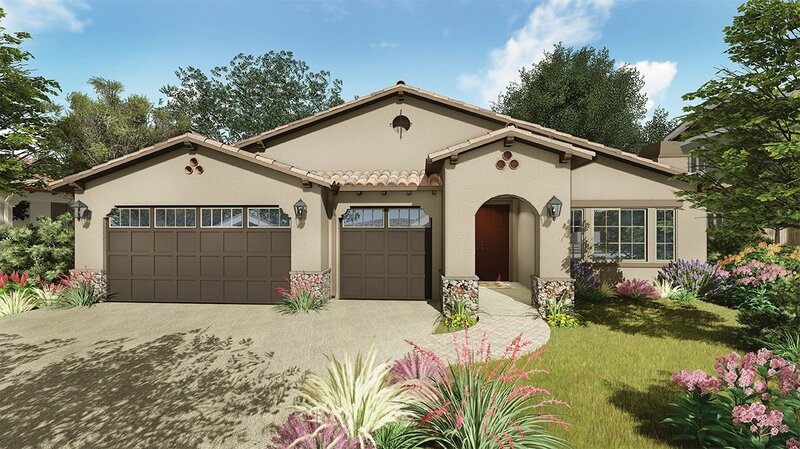 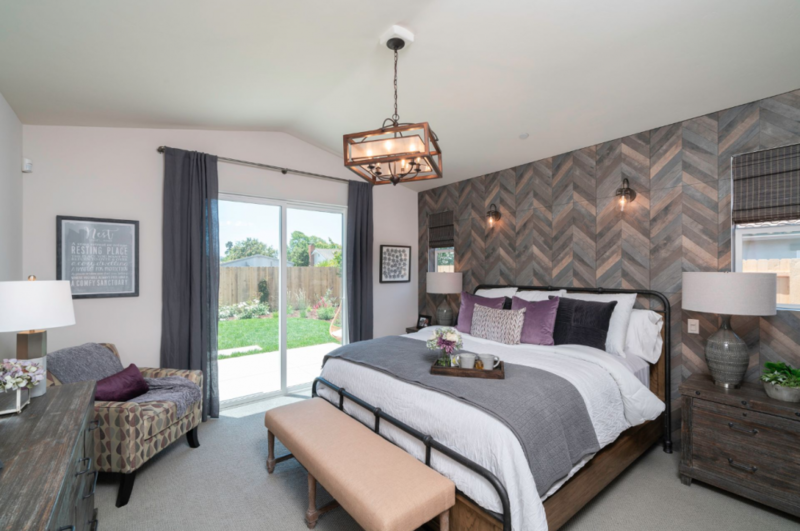 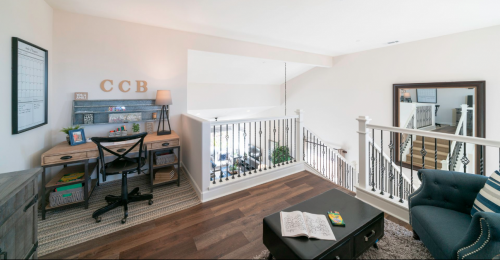 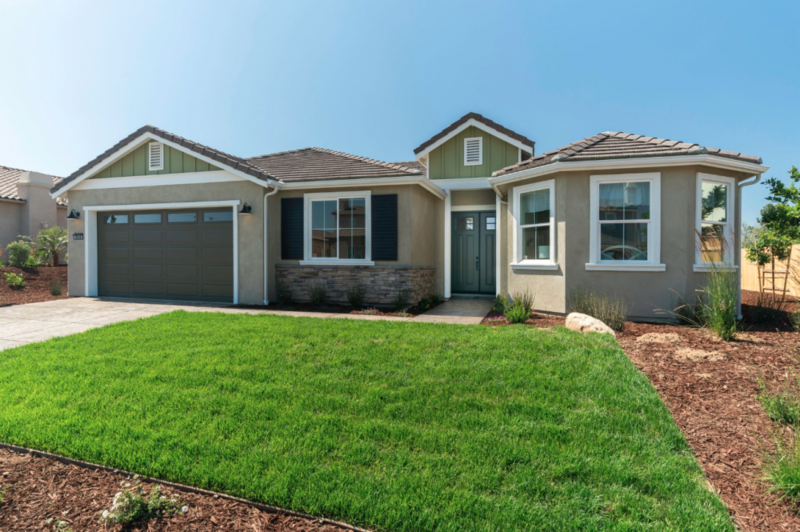 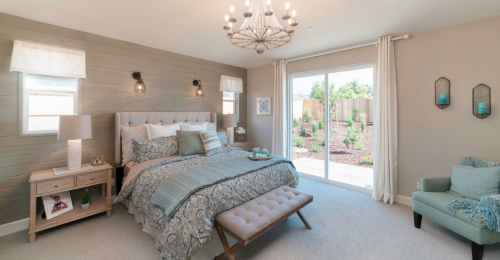 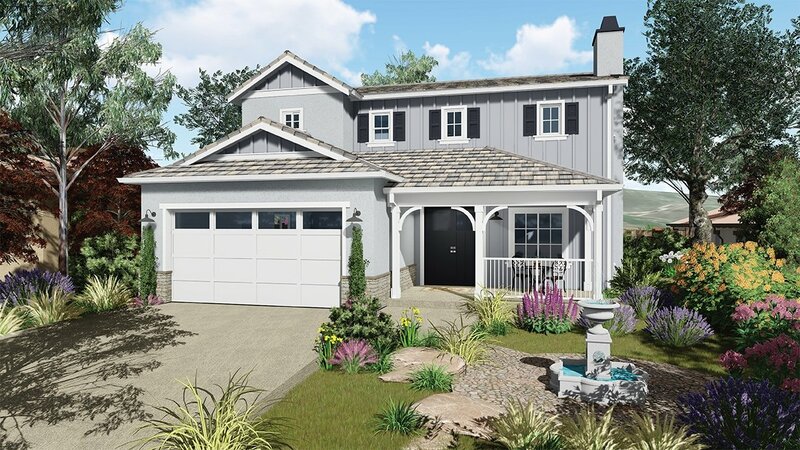 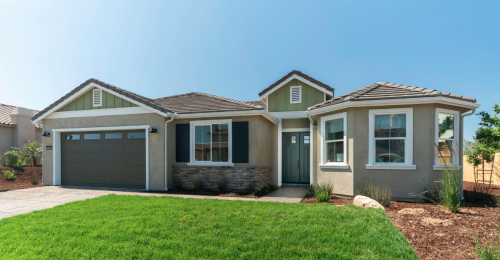 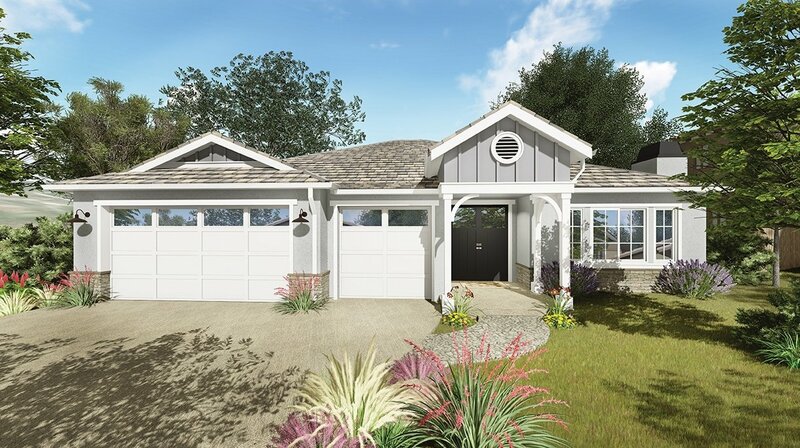 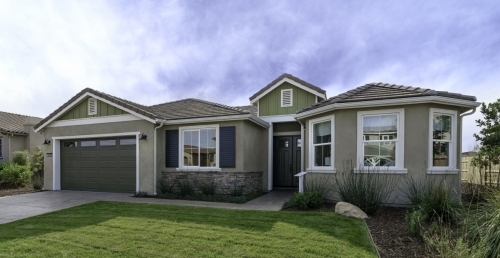 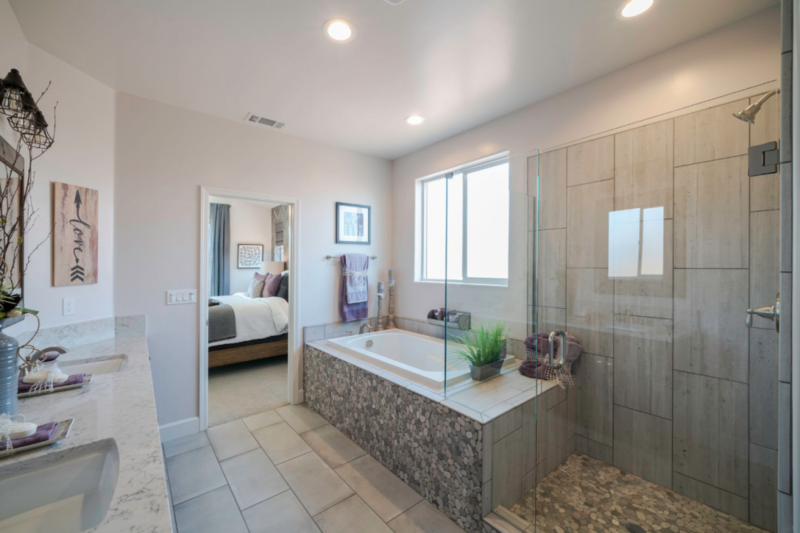 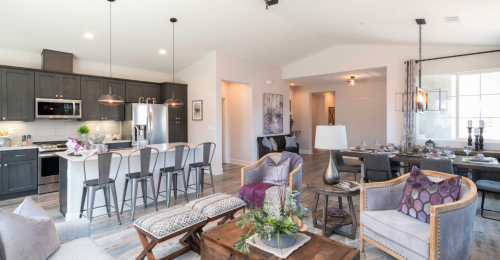 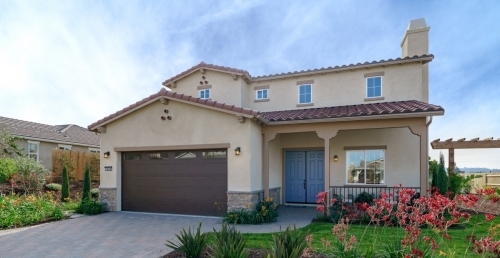 Energy and environmentally conscious, these 3 bedroom, 2.5-3 bath homes with 3-car tandem garages offer options for additional bedrooms and baths as well as second master suites. 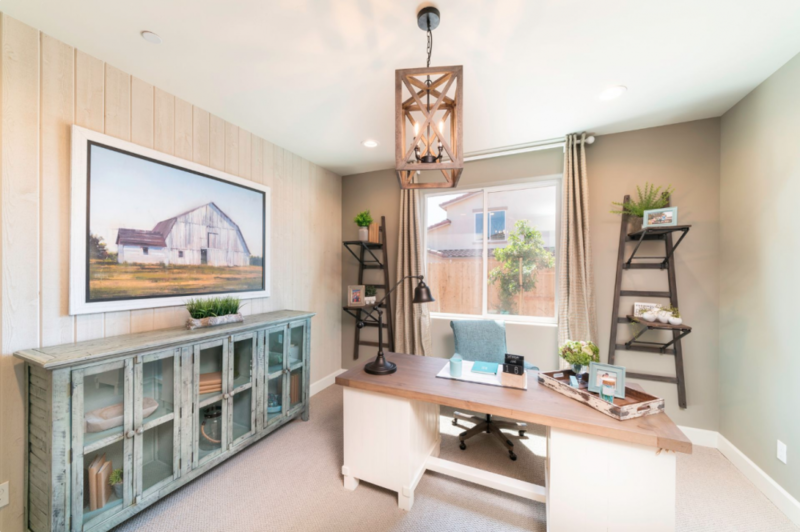 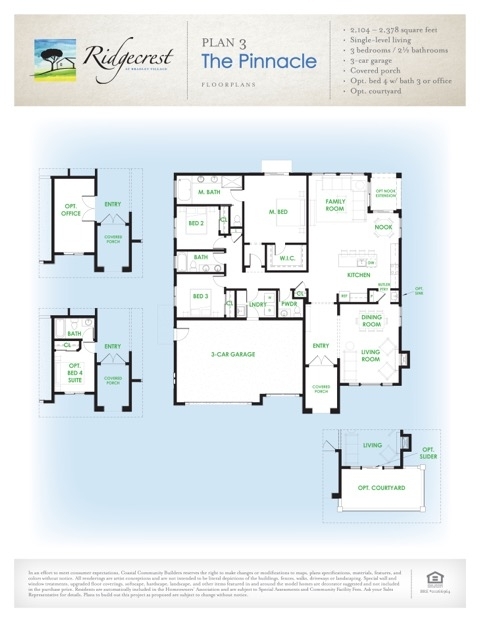 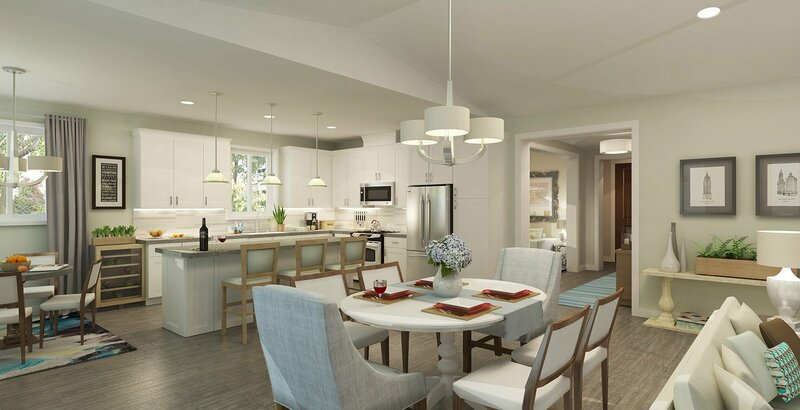 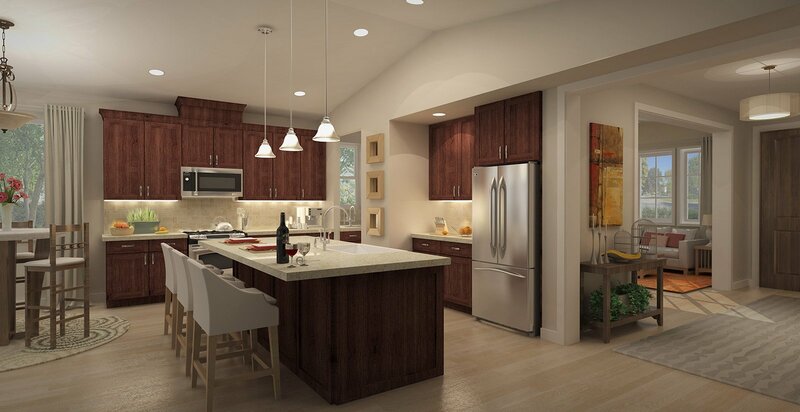 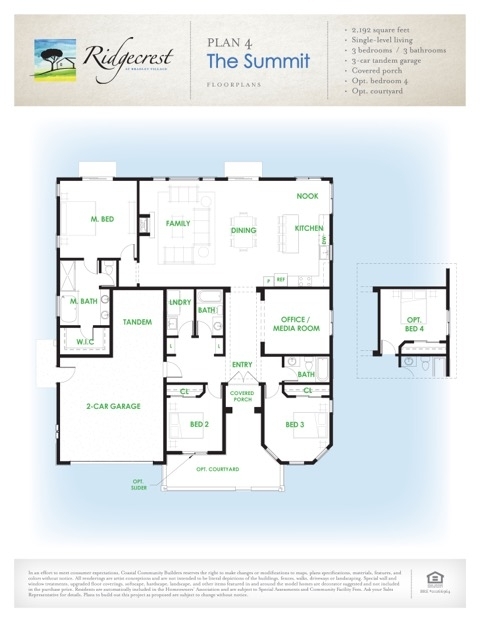 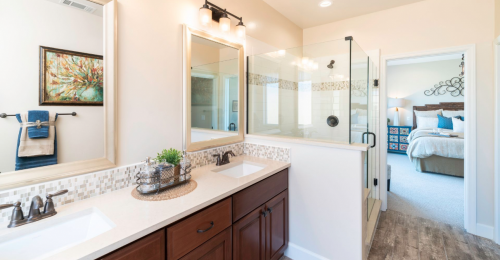 The on site Design Center will help customize your home to fit your unique lifestyle. 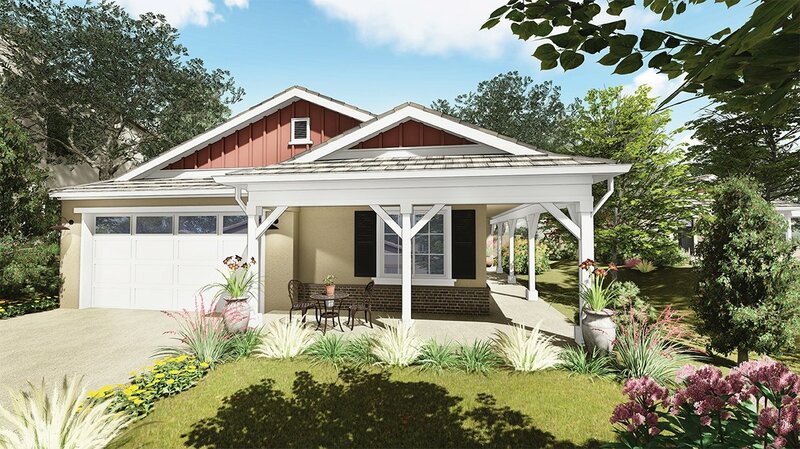 Visit the Sales Center on S. Bradley Road between Union Valley Parkway and Clark Avenue - open daily from 10am-5pm. 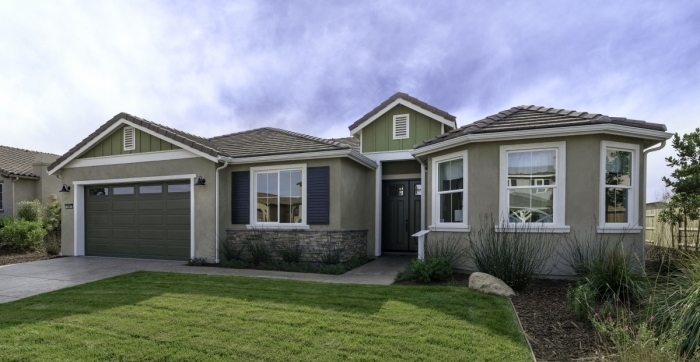 For further information call 805.354.0658.